In modern poultry production have become very popular trend in breeding quail. This bird does not require special conditions of detention, it can be diluted in the cells. Quail meat is tasty, it has nutritional properties and for its dietary qualities are not inferior to chicken meat and rabbit. Those who have decided to raise quail at home, you should know that this bird for a normal existence requires a certain area: for laying hens, from 1150 to 180 sq cm; for meat breeds – up to 260 sq. cm depending on available space we can conclude how the number of birds you can keep. The next step is the purchase of cages for birds. But if quail are to divorce in an open area, the cells are not needed. You should know that female quails grown at home, have lost the instinct of incubation. That is why poultry farmers for young cattle use the incubators. If you are going to breed young, you should take care of the purchase itself. It is necessary to consider the capacity of laying eggs and its technical data. Incubation temperature of eggs of quail is 37.7 C, relative humidity in the incubator at 50-60%. The incubation period of 17 days. 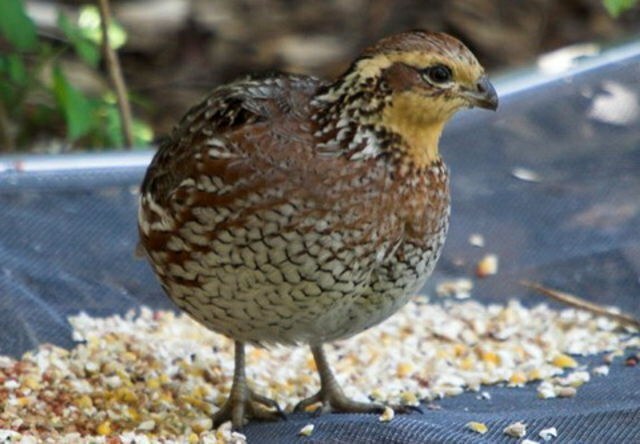 The first plant of quail is better to make the purchase of chickens. After getting hatching eggs, I don't know exactly what will be the exit from the incubator – it all depends on the fertilization of eggs. It is best to take the calves two weeks of age. This age allows the bird to adapt to a new home before laying eggs. The female quail starts laying eggs at the age of one month, and good egg production appears at the age of 60 days. Stable laying eggs lasts for 10 months. After this period it is possible to carry out the slaughter of laying hens. Order chicken quail well laid eggs, it should create suitable conditions. The temperature in the room where there are cages with chickens must be maintained from +16 to +20oC. For uniform distribution of lighting (longitude photoperiod should be from 13 to 17 hours) used fluorescent lighting. The duration of daylight is less than 11 hours and stopping of oviposition. Need to develop a good ventilation, but the draft is unacceptable. Although quails developed immunity to infectious diseases (the body temperature of birds is 42оС), a draught in the room need to be excluded. A big role in the laying of eggs plays feed the birds. You should make a balanced diet. The protein content should be not less than 21%. There is one important point: the chickens need to ensure peace, not to carry from place to place, as this may cause a decline in egg-laying. Like other birds, quails, enough diseases. This is caused by poor water quality, disturbance of feeding and maintenance, lack of cleanliness in the premises and cells.